The Mens Zenon SoftShell Pants from Jack Wolfskin is for if you like to go out hiking or cross-country skiIng on cool, Windy autumn or Winter days, you'll love the Zenon SoftShell Pants. 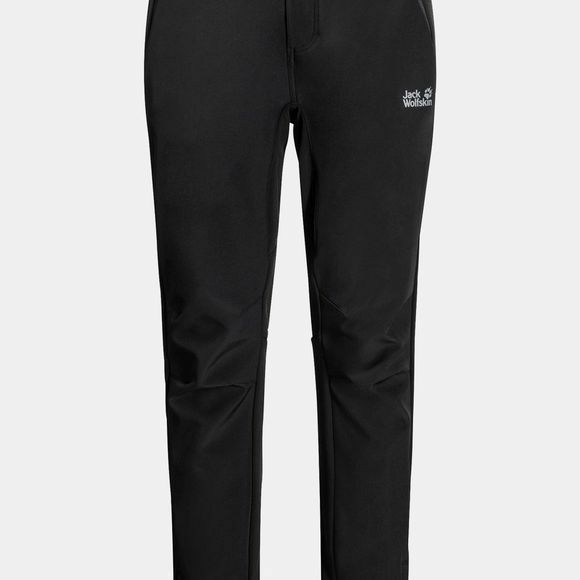 These sporty style SoftShell trousers are perfect for High-Intensity Winter activities.They have a Windproof front and a Fleece reverse side for effective thermal Insulation. The stretchy Flex Shield fabric on the back not only blocks Light Wind and raIn, it also delivers excellent breathability. Short zips at the ankles make it easier to get your hiking boots on and off.